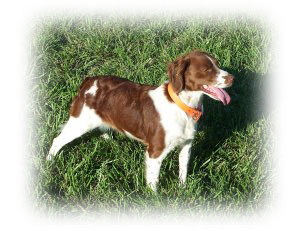 In our opinion, the Brittany hunting dog is the best all-around dog there is. 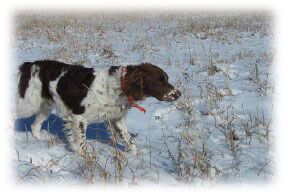 These dogs can be your kid's best friend and your hunting buddy. 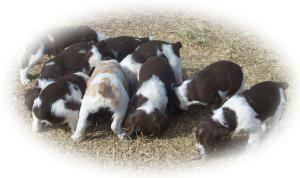 Call us about our pups or let us train your pick of the litter for this upcoming hunting season. 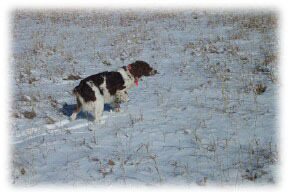 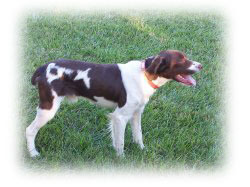 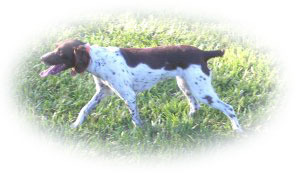 We use our dogs on quail, ducks, pheasants, dove, and prairie chickens. 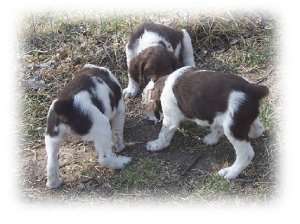 These hunting dogs are easily trained to hunt the way you want to hunt. 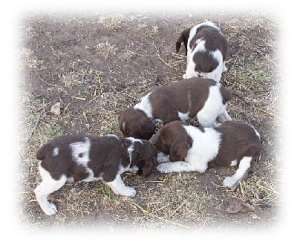 All of our hunting dog lines are AKC certified.